The Ewha Institute of Philosophy (EIP) was established in May 2012 with the aim of reviving the spirit of humanities with a focus on philosophy in an era that necessitates integrated interdisciplinary studies. Based on these visions, the EIP contemplates ways to resolve problems of human existence and human nature, which have been neglected in modern society, and conducts research and projects to restore the value of the humanities. From 2012 to 2016, the EIP delivered the Thursday Symposium of Philosophy—a lecture where experts in each field share Eastern and Western philosophical thoughts—on 49 occasions since its inception in 2012 under the themes of desire, happiness or ego and the world. From 2017, the EIP held seven iterations of the Philosophy Concert, a philosophical lecture borrowing the format of a talk concert under the themes of women and education, which expands the horizon of philosophical speculation within and outside of Ewha. Above all, the EIP, as the center of feminist philosophy in Korea, is making efforts to expand the basis for research to allow the academic community of feminist philosophy to take root in Korea. As part of this effort, the EIP not only conducts research to examine women’s issues from a multi-dimensional perspective beyond the personal level and rather from the sociocultural aspect, but also supports academic, intramural and extramural activities by students and graduates of Ewha Womans University’s Graduate School of Philosophy with the aim to strengthen the capabilities of the next generation of women philosophers. In addition, the institute regularly offers philosophy education programs for children and adolescents (Philosophy Madang Camp, Saturday Classroom of Philosophy, etc.) as part of an effort to popularize the humanities. In order to realize these visions, the EIP is currently operating the following laboratories. 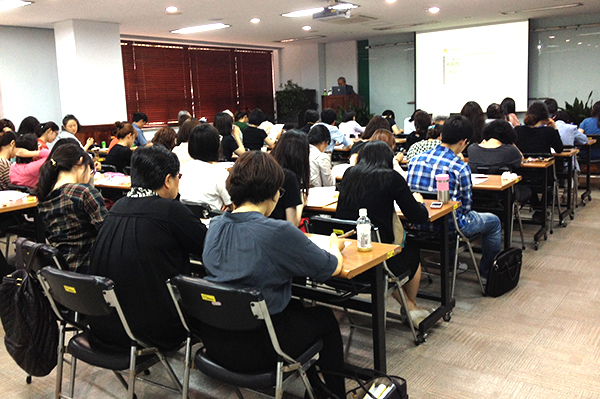 The Ewha Institute of Philosophy organizes academic conferences, colloquiums or public lectures that connect the current social issues of our society with philosophical questions including major themes in Eastern and Western philosophy. In 2013, the institute held its first academic conference under the theme of “Understanding Emotions in Chinese Confucianism,” and in the summer of 2017, the first Conference of Asian Association of Women Philosophers (AAWP), was held to establish a forum for academic exchanges among domestic and overseas female philosophers, consisting of women philosophers from the United States, China, Taiwan and Thailand. Moreover, the EIP hosts an academic society in cooperation with external societies to provide a venue for students and professors from other universities to interact with each other. It also organizes colloquiums and symposiums to offer an opportunity for philosophy majors and non-majors to share philosophical texts and opinions, serving as a catalyst for promoting philosophical interests on and off campus. From 2008, prior to the establishment of EIP, the Department of Philosophy has been running a short-term philosophy education program for children called Philosophy Madang Camp, and since the EIP’s establishment in 2013, it has been offering a one-semester program called Saturday Classroom of Philosophy for elementary and junior high school students. 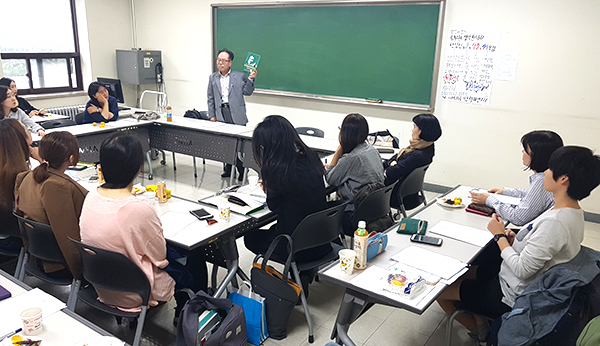 The EIP is developing and operating philosophy education programs and training materials for students and graduates of Ewha Philosophy Graduate School, while continuing research activities to find philosophy education models suitable for the domestic education sector. Currently, the philosophy education program is promoting external lectures in partnership with libraries, public educational institutions, juvenile protection facilities, as well as on-campus semester programs, and it will continue to actively support the external activities of female researchers. ​In 2016, the EIP became the main organization in hosting the Korean Philosophy Olympiad (KPO) for middle and high school students nationwide under the umbrella of the Korean Philosophical Association (KPA), and it has also been in charge of selecting and training Korean representatives to participate in the International Philosophy Olympiad (IPO). In January every year, middle and high school students who are interested in philosophy participate in a contest where they express their philosophical thoughts in writing on the Ewha campus, while their teachers and parents take the time to seriously reflect upon philosophy education in Korean society.